Amazon Brings Kindle to Macs, But What's Next? 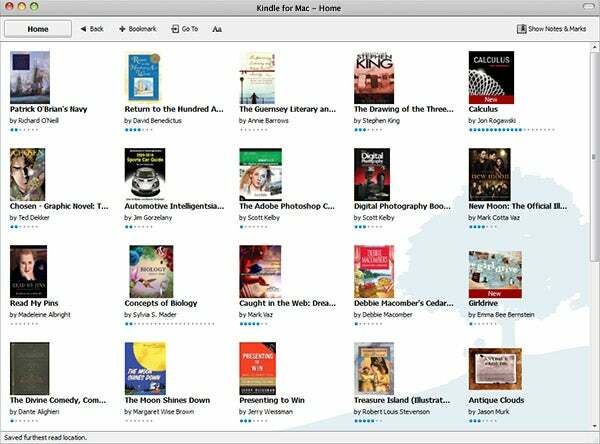 Amazon has raised the stakes in a turf war among e-book sellers by releasing a beta of its Kindle software for Mac computers. To date, you can download Kindle software for Mac, Windows PC, the iPhone, and Blackberry phones. Barnes & Noble's Nook software supports the same platforms. For Amazon and Barnes & Noble, the ability to read books on lots of devices is a selling point for both their digital book stores and their e-reader hardware. Competition among e-reader software is a boon for consumers. At the very least, it'll encourage e-book sellers to move faster in supporting more platforms. If Barnes & Noble released Nook software for Android, Windows Mobile, Symbian, or Linux, I don't think Amazon would ignore those platforms for long. Also, e-reader software is currently pretty dull. I'm not saying a book reader needs a load of flashy extras, and Amazon's ability to pick up on one device where you left off on another is a great perk, but there's definitely room for creativity. Even the virtual book shelf Apple will use in iBooks for the iPad is a step up from the Kindle software's presentation. On that note, iBooks is notably absent from the turf war. It's not clear whether Apple plans to release iBooks for the Mac or other platforms, but it seems like a no-brainer. After all, iTunes came before the iPod, and it's widely believed that the store's primary purpose was to drive hardware sales. Why wouldn't Apple do the same for iBooks? I hope Apple does. E-readers or tablets are still the best way to read digital books, but software for computers and phones could use another motivation to improve.